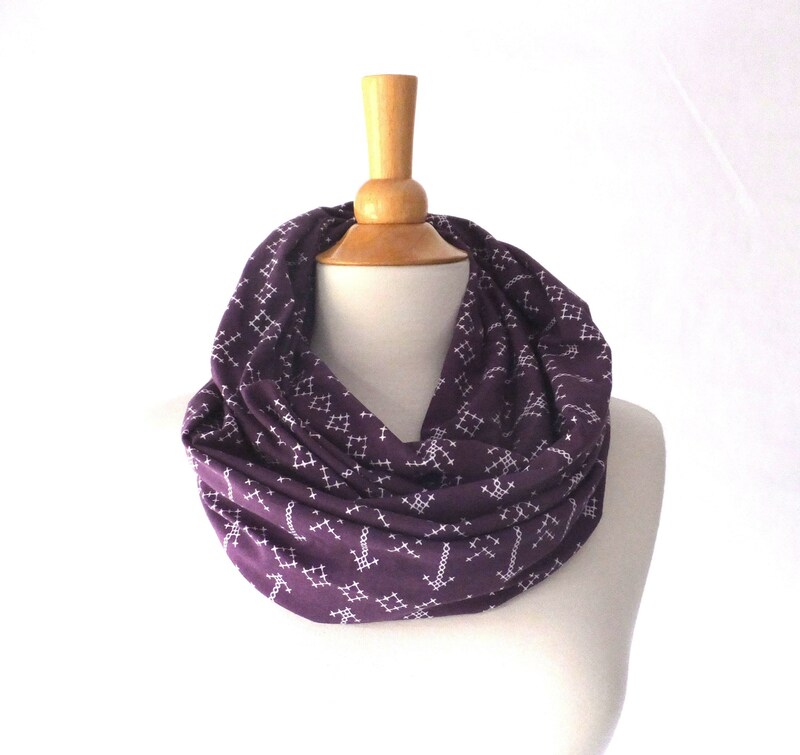 Plum infinity scarf. 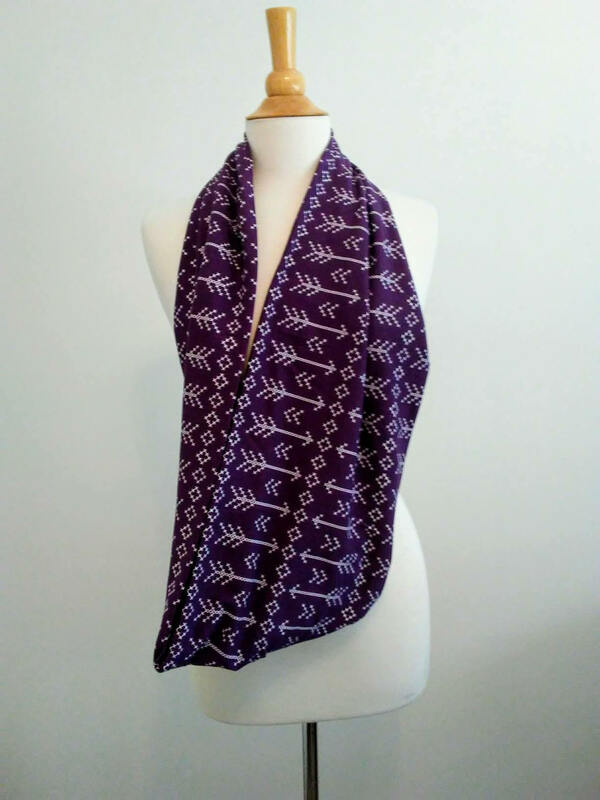 A fun cross stitched arrow print in white on a deep plum purple background. 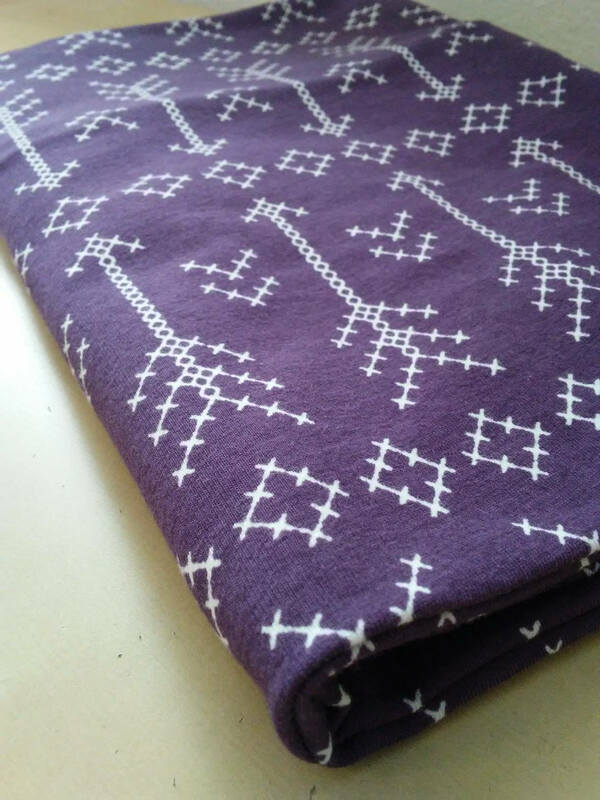 The fabric is a soft stretchy cotton jersey. Soft like a t-shirt. 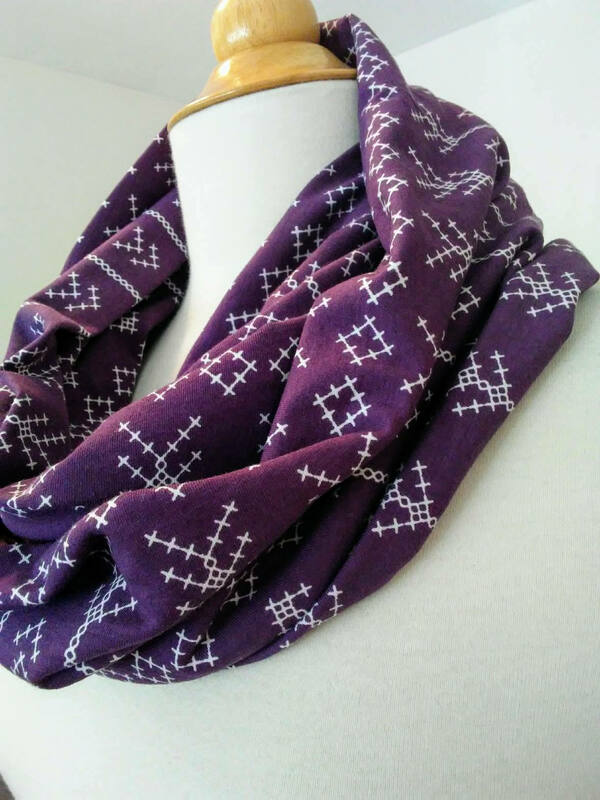 This scarf is ready to ship. Makes a great gift!